Great things are happening at Neighborhood Studios! These courses provide students ages 4 to 12 years old the opportunity to explore the world of the visual arts. 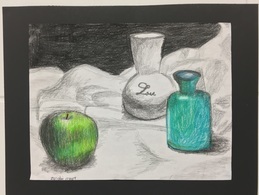 Students learn how to draw and to paint through fun projects. ​Intermediate classes build upon the skills students developed in beginning classes to develop new techniques through a variety of media– paint, pencil, pastel, clay, etc. ​An art show is held at the end of the year. Saturday Studios is a program for special needs students and their non-disabled peers that is designed to help students strengthen motor, cognitive, communication and social skills. Each week students attend four specialized arts classes designed to fully engage the students in a variety of activities. 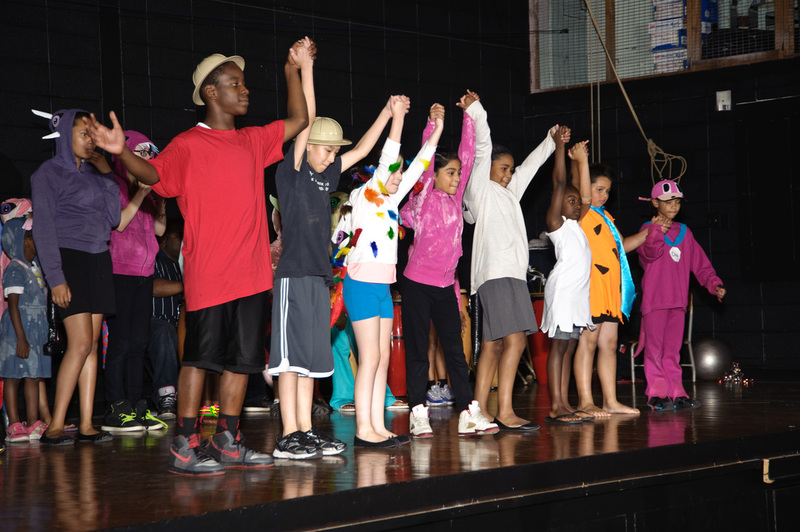 Students will learn about art, cultural drumming, theater and dance. While developing their arts skills, students will learn about a theme and help to create a performance based on that topic. The program serves children with a range of disabilities from developmental, learning, and physical to social / emotional. Dance Academy is an exciting introduction and continuing education program in the fundamentals of dance. Classes are available for children as young as 3. Students as young as 6 years old can learn more than one style of dance, and classes are dynamic and fast paced. ​Prior experience is only required in intermediate classes. The Neighborhood Studios Music School offers instruction in piano, voice, strings, brass, woodwinds, guitar, and percussion. The program is open to students ages 5 to adult. Lessons are offered Monday through Thursday and Saturday. 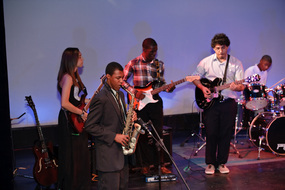 Teachers will instruct students on the basics of proper playing techniques, music theory, and musicianship. ​There are student performances at the end of the school year. This course will provide students ages 6 to 12 years old the opportunity to explore the world of theater. Students will learn about acting techniques, improvisation, memorizing lines, voice projection, and characterization. At the end of the year, students will present a performance. The Conservatory program is for teens that are serious about the visual arts, media, music, theater and dance. 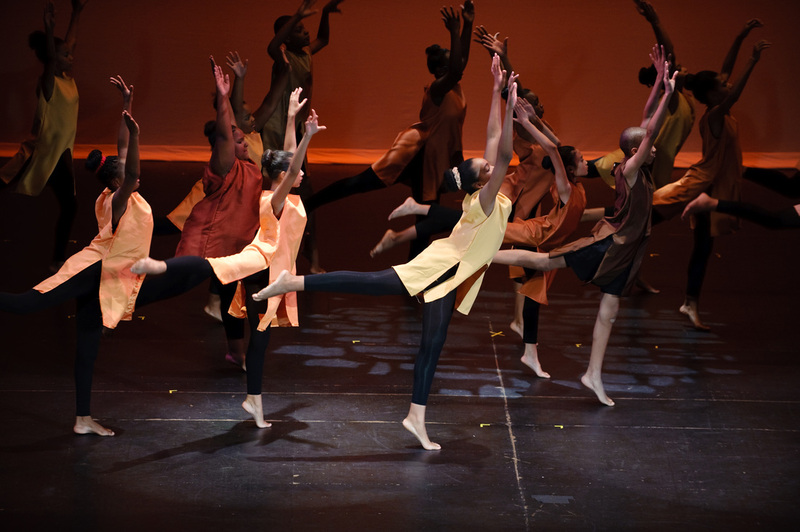 Open to all youth ages 13 to 18 in Bridgeport, this program provides intermediate and advanced instruction in Dance, Contemporary Music, Fine Arts, Theater, and Music Production to help participants develop and increase their skills and discover new talents. ​Students who successfully complete this program provide themselves with the greatest probability of being accepted into the summer paid internship program and qualifying for increased wages.